Dr Julianna Challenor is a lecturer on the Professional Doctorate in Counselling Psychology and has previously taught on the BSc Psychology course. She is a practicing Counselling Psychologist in an NHS honorary role, and in private practice. She is joint Senior Tutor for Research for counselling psychology, supervises doctoral research students, is a lecturer and personal tutor. Her teaching is primarily in the areas of qualitative research methods and applied counselling psychology. Julianna is interested in working with most qualitative research methodologies, She particularly enjoys working with critical and social constructionist approaches and is very interested in using pluralistic or integrative methods that draw on discourse analysis together with those derived from phenomenology or psychoanalytic/psychodynamic approaches. She has experience of supervising most qualitative methods, particularly discourse analytic approaches and Interpretative Phenomenological Analysis. Her interest in these pluralistic approaches is founded in a wish to do research that can address both discursive and extra-discursive subjective experience. Case study methodology for counselling and psychotherapy practice is another area of interest and previous experience. She is trained in Dynamic Interpersonal Therapy (DIT). Julianna has practiced in a variety of settings including NHS Primary Care counselling, student counselling, bereavement and chronic illness. In her current independent practice, she works mainly with adolescents and adults with a wide range of presenting problems. Julianna completed her doctoral training in Counselling Psychology at City, University of London. 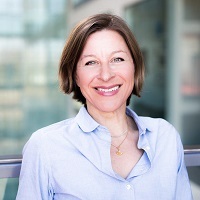 She also has a Graduate Diploma in Psychology from the University of West London (formerly Thames Valley University) and a BA (Hons) in Politics and International Relations from the University of Reading in 1991. Member of Qualitative Methods in Psychology Section of the BPS. Member of Psychotherapy section of the BPS. Julianna is interested in all qualitative research methodologies, particularly psychosocial and discursive approaches and methodological pluralism. In her own research Julianna uses psychosocial methods, integrating discourse analysis with psychoanalytic approaches to research. Other research interests include ethical approaches to researching counselling processes and mind-body links in counselling practice and research. Her thesis was a psychosocial study of altruistic or non-directed kidney donation. Challenor, J. (2018). ‘Not dead … abandoned’ – a clinical case study of childhood and combat-related trauma. In Loewenthal, D. and Avdi, E. (Eds. ), Developments in Qualitative Psychotherapy Research Routledge. ISBN 978-1-138-61403-1. Challenor, J. (2016). ““Not dead…abandoned” - A Pragmatic Case Study of Combat Related Trauma”. 6th Qualitative Research on Mental Health Conference (QRMH6) 25-27 May, Chania, Crete, Greece. Challenor, J. (2014). Creating a space for the unconscious in discursive approaches to research: reflections on constructing a psychosocial account of the body. Qualitative Research Methods in Mental Health 5 (QRMH5) 2-4 September, Chania, Crete. Challenor, J. (2012). Understanding “altruistic” kidney donation – A Psychosocial Study. British Psychological Society Division of Counselling Psychology Annual Conference Leicester, UK. Challenor, J. (2017). ‘Not dead … abandoned’ – a clinical case study of childhood and combat-related trauma. European Journal of Psychotherapy & Counselling, 19(1), pp. 6–21. doi:10.1080/13642537.2017.1289967 . Challenor, J. (2015). The Topic of Cancer: new perspectives on the emotional experience of cancer. Psychodynamic Practice, 21(2), pp. 173–180. doi:10.1080/14753634.2015.1025096 . Challenor, J. (2014). The psychodynamics of social networking. European Journal of Psychotherapy & Counselling, 16(2), pp. 180–182. doi:10.1080/13642537.2014.895553 . Challenor, J. and Watts, J. (2014). 'It seemed churlish not to': How living non-directed kidney donors construct their altruism. Health (United Kingdom), 18(4), pp. 388–405. doi:10.1177/1363459313501358 . Challenor, J. (2013). Working with the unworkable – a trainee’s case of maternal mourning and ulcerative colitis. Psychodynamic Practice, 19(4), pp. 406–411. doi:10.1080/14753634.2013.772441 .